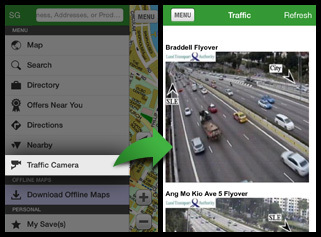 App includes the latest 2019 offline maps for Singapore, Malaysia (Johor Bahru), Philippines, Indonesia and Hong Kong. You can easily get around when you are in these countries even without internet access. 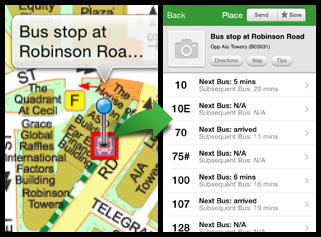 Click on any bus stop on the map to get real time bus timings. Never get lost when you travel across to Johor Bahru. 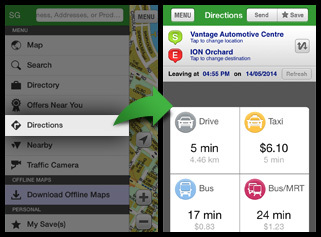 You can now get directions from point A to B in Singapore by Bus, Car and Taxi. You also get estimated duration and cost of travel. 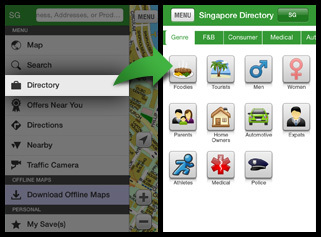 This app now has all the businesses listed in Singapore. It comes with photos, tips of where to go and even listings of favourite makan places. See live traffic conditions of all the major expressway including causeway before you commute.